Below are some organizations that I am involved with and/or support. There are lots of worthy causes and issues to be addressed in the world- it is not necessary nor possible to take on all of them, but it is important to take on the things you feel most connected to and passionate about and to do your part to heal the world and all of us inhabiting it. "For the thousands of people diagnosed every year with life-threatening blood cancers like leukemia and lymphoma, a cure exists. 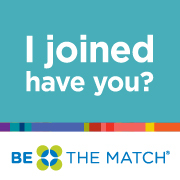 Over the past 25 years Be The Match®, operated by the National Marrow Donor Program® (NMDP), has managed the largest and most diverse marrow registry in the world. We work every day to save lives through transplant." "Every day in this country, 1,900 children become victims of abuse or neglect, and four of them will die. Every day. Court Appointed Special Advocates (CASA) for Children is a network of 933 community-based programs that recruit, train and support citizen-volunteers to advocate for the best interests of abused and neglected children in courtrooms and communities. Volunteer advocates—empowered directly by the courts—offer judges the critical information they need to ensure that each child’s rights and needs are being attended to while in foster care.Volunteers stay with children until they are placed in loving permanent homes. 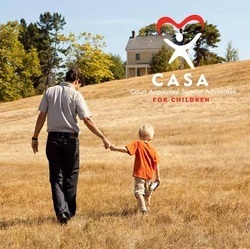 For many abused children, a CASA volunteer is the only constant adult presence in their lives."